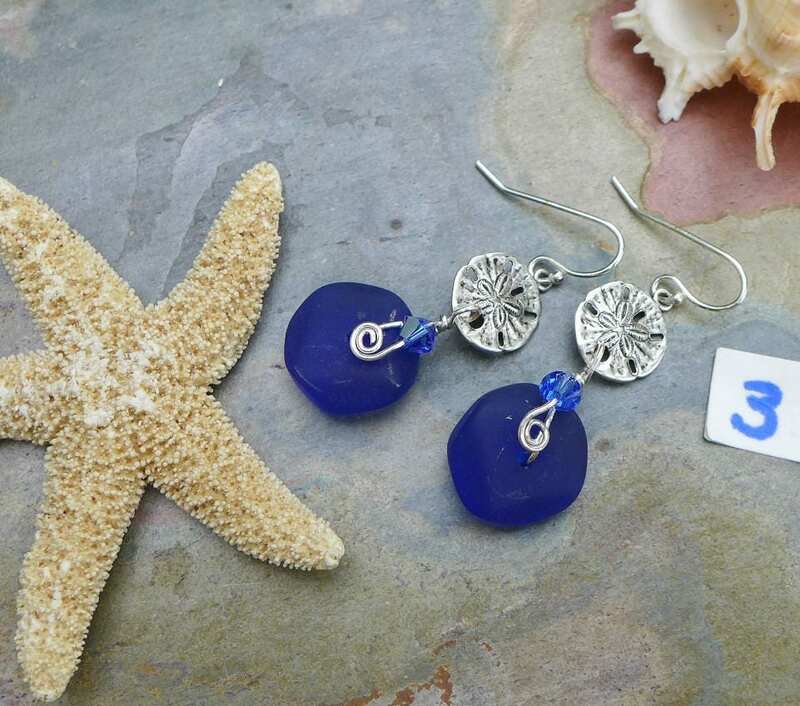 Gorgeous Sea Burst Beads ~ in shade of gorgeous Blue !!! 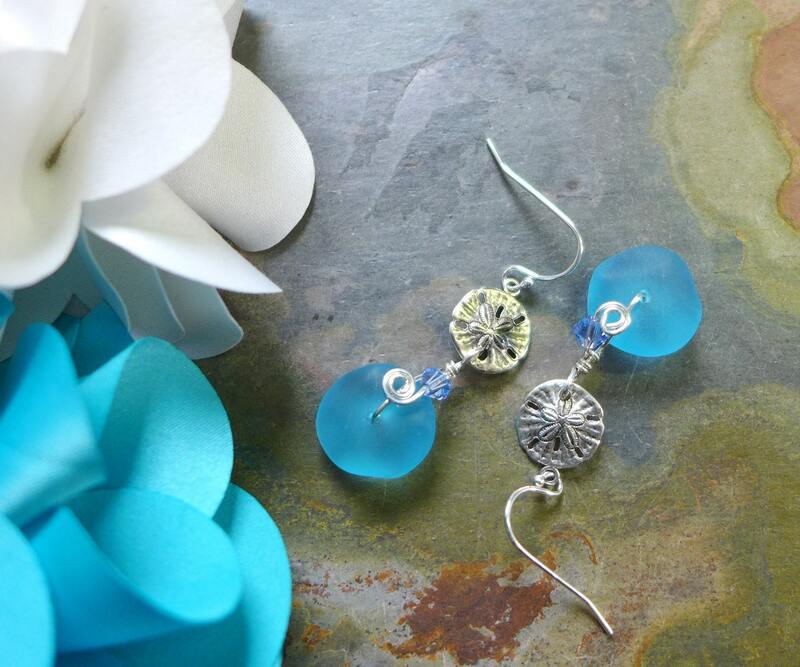 These Sea Glass earrings are carefully Wire Wrapped with .925 sterling silver wires on recycled unique,Freeform button spacer sea glass beads & crystal measures approximately 14 x 5 mm. 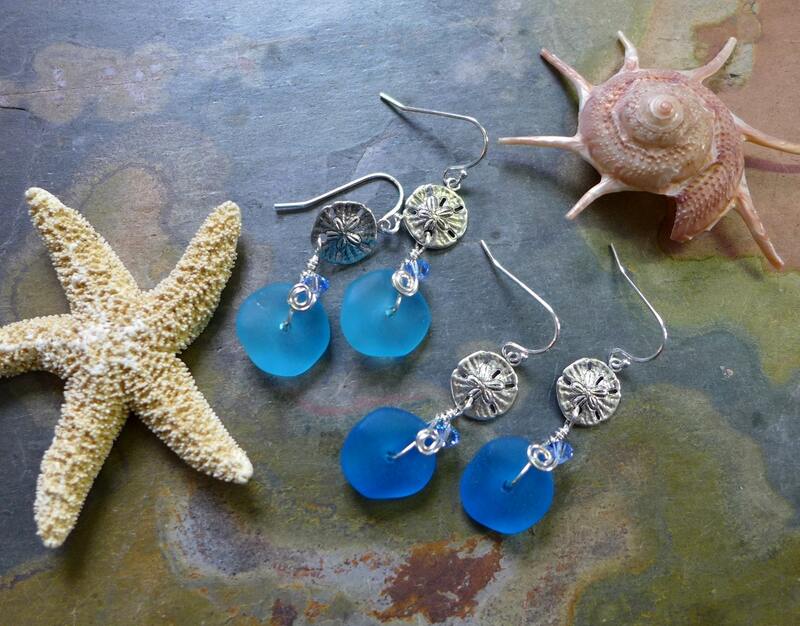 They are dangling down from sand dollar charm. They dangle nicely about 1-1/4 inch from the bottom of the .925 sterling silver earwires. Absolutely beautiful earrings. Extremely fast shipping. Thank you so much.